I normally don't re-use the same designs in my work, but this time I made an exception. I like the drone design from my previous sci-fi image so much, that I decided to use it here as well, but this time as alien scouts. A remotely controlled biodrone investigates the lake area near the base. 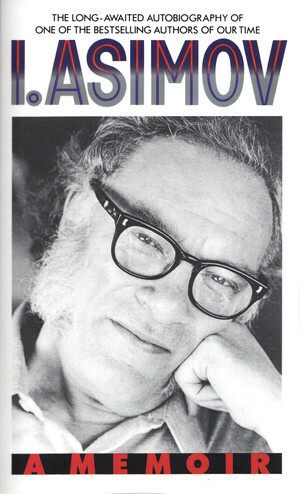 A few months ago I read an interview with the famous science fiction writer Isaac Asimov who passed away in 1992. I liked his answers in that interview, so I did a little research about him and decided to read his fourth (and last) autobiography - I.Asimov, A Memoir. I just work on the principle that of all the virtues gratitude (next to honesty) is the greatest, and that has helped me on numerous occasions in my life. It's much easier to find reasons to consider oneself superior than inferior. But one is just the mirror image of the other. I never found true peace till I turned my whole working life into self- employment. I was not made to be an employee. The truly important parts of life develop slowly with experience. After all, one meets so many phonies in the world, so many sleazeballs, so many people who lie and twist and whose word cannot be trusted, that one sometimes gets the sick feeling that life is a garbage pit in which people are rotting banana peels. Yet one honest man refreshes the air fouled by a thousand devious rascals. When I have felt depressed and unhappy, the only anodyne I had (since I have never smoked, drunk, or drugged) was to write. It was only writing that dulled my anxiety. Continued success at anything tends to breed arrogance, if you are not careful. Of course, the reader might argue that I was as stubborn in my viewpoint as they were in theirs. Yes, indeed, but I was right and they were wrong and that made the difference. How does one become a prolific writer? The very first requirement is that a person have passion for the process of writing. I mean he must have a passion for what goes on between the thinking of a book and its completion. Being a prolific writer has its disadvantages, of course. It complicates the writer's social and family life, for a prolific writer has to be self-absorbed. He must be. He has to be either writing or thinking about writing virtually all the time, and has no time for anything else. It's easy to believe that no one should depend on society for help when you yourself happen not to need such help. As it happens, the vicissitudes of time have greatly increased the literary standards of my particular medium and I am very well aware (as I frequently say) that if I were starting today as a teenager, with only the evident talent that I actually had as a teenager, I could not possibly break into the field. It is so important to be in the right place at the right time. 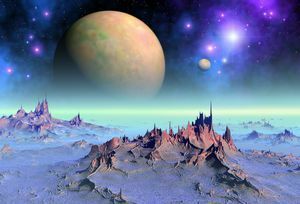 I recently read some quotes by Isaac Asimov and here are two that I especially like: "Individual science fiction stories may seem as trivial as ever to the blinder critics and philosophers of today - but the core of science fiction, its essence has become crucial to our salvation if we are to be saved at all." And the second quote: "In life, unlike chess, the game continues after checkmate." Today I came across two interesting quotes by Carl Sagan that describe the size of the universe: For as long as there been humans we have searched for our place in the cosmos. Where are we? Who are we? 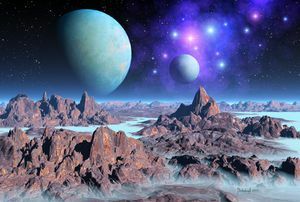 We find that we live on an insignificant planet of a hum-drum star lost in a galaxy tucked away in some forgotten corner of a universe in which there are far more galaxies than people. And the second quote: The size and age of the Cosmos are beyond ordinary human understanding. Enormous alien monuments erected thousands of years ago by a civilization long gone. 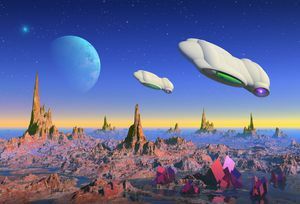 New explorers survey the area from the air in an attempt to uncover their mysteries. 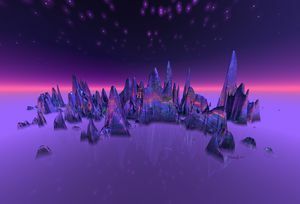 Alien hunting ships slowly fly above the snowy landscape while scanning it for creatures to hunt. 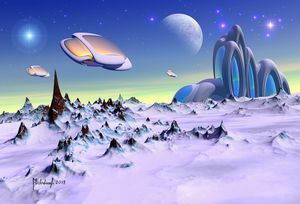 My favorite sci-fi art is from the 1970s to 1990s period. 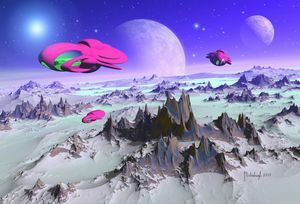 Perhaps it's because I grew up during that time, or perhaps sci-fi art was in fact better back then. Time will tell... A few years ago a bought a used copy of a book called Tomorrow and Beyond: Masterpieces of Science Fiction Art edited by Ian Summers and published in 1978. I recently browsed through this book and it reminded me how sci-fi art used to be back then. In some ways it was somewhat simpler, but the thing that is most noticeable is its calmer feel. 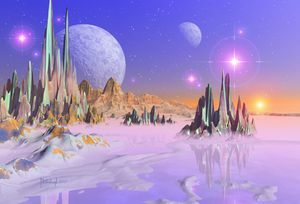 Much of today's sci-fi art is excessive and has a restless feel to it. Perhaps this is merely a reflection of technological progression. Anyway, if you like old SF art books then this one is worth getting and is available on amazon. 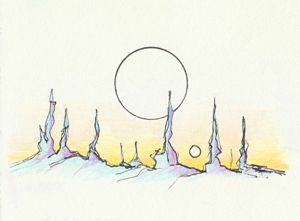 I continue to sketch and have uploaded some of the new space landscape sketches to the gallery. Because I enjoy sketching just as much as doing finished artwork, I have been experimenting with different color pencils and papers. I want to determine the ideal combination of pencils and paper. Since I do a lot of sketching, these materials need to be relatively low cost. But at the same time their quality should be sufficiently good for my needs. 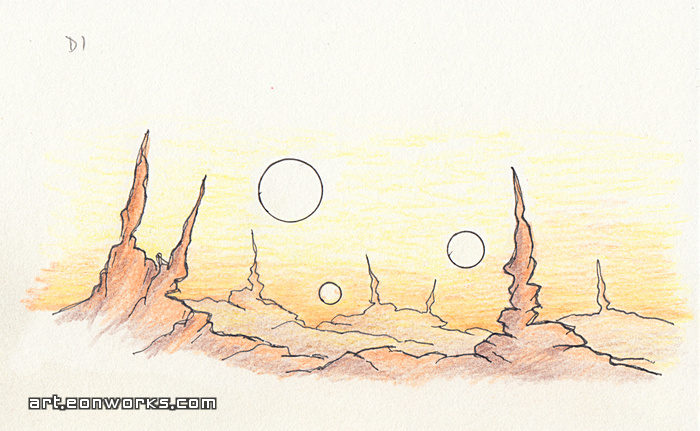 I have been doing more space art sketching lately. I use graphite, colored pencils and black ink. At first I used Polychromos colored pencils by Faber Castell and although they are nice to draw with they are expensive for doing sketches so I started looking for a cheaper alternative. First I tried the Norris Club 144 colored pencils by Staedtler. They have very good covering power on different papers, but unfortunately they are not pigment rich so the colors are on the weak side. Furthermore, only 12 of the total 36 colors are available as open stock. They are very inexpensive though. Later I tried the Polycolor colored pencils by Koh-I-Noor. They seem to have just as much pigment as the expensive Polychromos and yet cost about 70% less. They don't break, and all colors are available as open stock. They are smooth to draw with and they don't smudge. 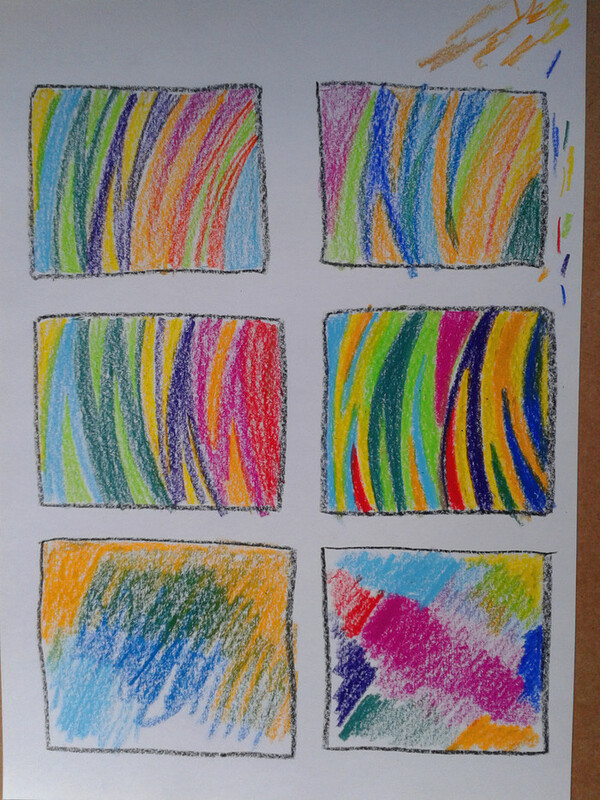 So I draw with the Polycolor pencils at the moment and enjoy using them. I have done so many sketches during the past year or so that I decided to put some of them online in a new space sketching gallery. Hopefully I'll have the time to further explore at least some of these sketching ideas as digital artwork. 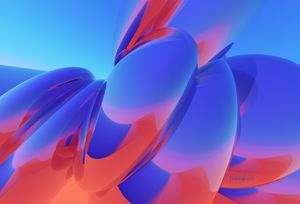 This abstract image took much longer to render than I expected. The first high resolution rendering did not take long, but there were problems with anti-aliasing. Some areas did not anti-alias well enough, so I set the anti-aliasing to the highest possible and started the rendering again. This increased the rendering time to several hours, and fortunately everything now looks completely smooth. Last year I read Daily Rituals: How Artists Work by Mason Currey. It is an interesting and enjoyable book which describes the working habits and many eccentricities of well known painters, writers, philosophers, scientists, musicians and other creative types. Recently I was re-reading the book, or the highlighted parts of it, and here are the most common habits that were of interest to me: drinking coffee and tea was popular among many and so was eating eggs; some liked sugary foods; many worked only few hours a day; most followed a daily routine; many liked to work in the morning. Caffeine and sugar is bad for me so I don't consume it. Eggs I do eat as they are high in brain performance boosting nutrients like sulfur, selenium, choline and vitamin B12. But one food that works really well for me are sardines, which are mentioned once in the book if I remember right. Whenever I feel that my creativity is lacking I eat a small can of sardines in sunflower oil with bread. That helps the creative ideas start flowing again. I think it's a combination of the nutrients that sardines are high in: vitamin D, vitamin B12 and especially selenium. Unfortunately, I recently learned that now even plastic particles are found in the tissue of many fish. So I will have to stop eating sardines which are still considered relatively safe to eat by many health experts. Another food that helps improve my creativity is organic pork liver pate. But it's also bad for me in some ways, so I was thinking about trying organic beef and chicken liver instead. My working habits changed over the years and I worked at different hours of the day. Some 15 years ago I was freelancing from home and for several months I worked during nights. I did this because I was curious how working during nights would be like for me. So I slept with earplugs during the day and enjoyed the calming silence of the night while working on Unreal 2 . Working nights helped me concentrate much better, which increased my productivity and the quality of my work. Unfortunately the nocturnal life was not good for my health. It's simply too unnatural for my body to be awake during nights, so I went back to a daily schedule. But I still use earplugs or earmuffs whenever I need to reduce noise and improve concentration. I know that following a regular schedule is important for my creativity. Briefly planning what I will work on the next day is also important, as that makes the work flow with less effort. I think having a habit of doing the same type of activity at the same time of the day makes it easier for the mind to prepare for it, and bring forward the ideas which the subconscious has worked on. 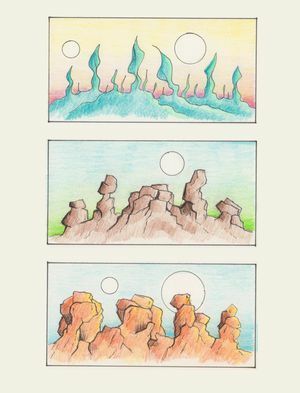 A few years ago I made Starry isles, which I like a lot mainly due to its very pleasant fantasy mood that is so otherworldly and inviting. Recently, I was looking through the work-in-progress directory of that image and the idea came about to do a sequel. My goal was to make the sequel even more visually appealing. I started by doing a sketch, shown here at the bottom of the sketchbook page. As is usually the case with my workflow, the initial idea evolves a lot as I work on it. So what I have initially imagined may be quite different from the actual sketch, and the final artwork may also be different from the sketch. This is partly because sketching is a brief process. Thus I can draw many sketches that explore the initial idea and produce different visual variations of it in a short amount of time. Furthermore, once I start working digitally, it's easy to experiment and make big changes quickly. Thus the initial idea may end up looking very different once it has gone through the whole creative process. 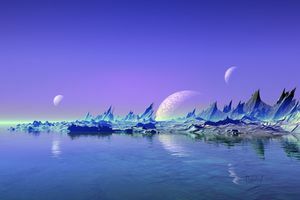 I noticed that I rarely depict liquids that look like water in my space artwork. I'm not sure why I haven't used liquids more frequently, but I plan on including exotic liquids more often from now on. 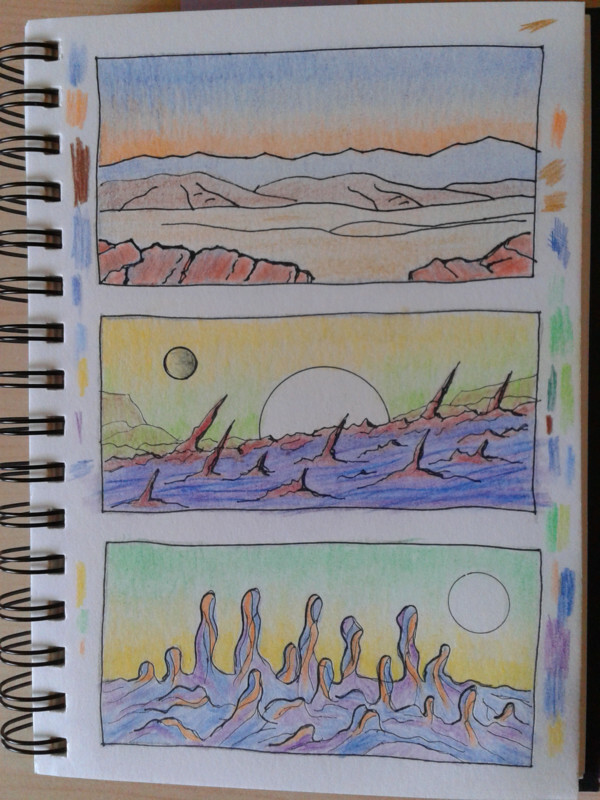 Shown below are some space landscape sketches from my sketchbook. I may start by drawing at least several tiny sketches like the ones shown in the photo. The purpose of these is to create many different, rough ideas and then select the best one(s) for further work. 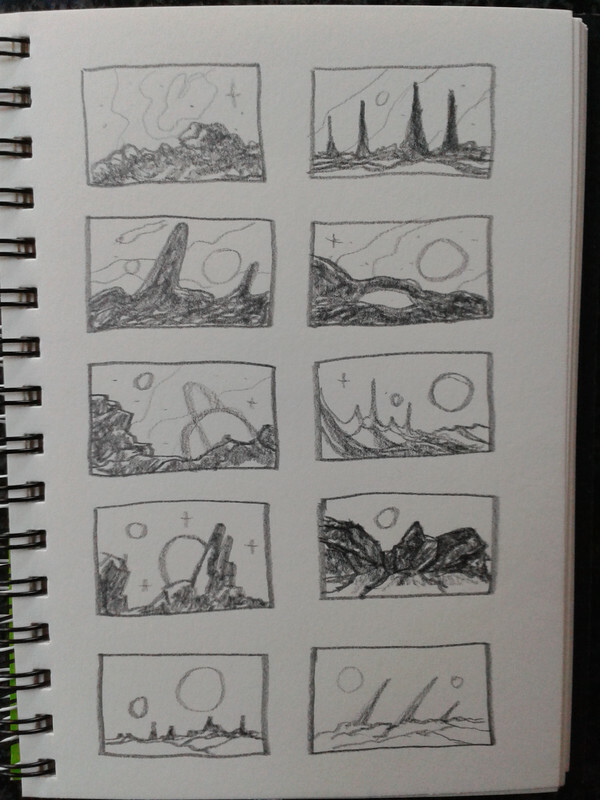 These are approximately 4,5 x 3,5 cm (1.7" x 1.3") each and because they are so small they are often called thumbnail sketches. Each takes less than a minute to draw. I use a soft pencil, like 4B or 5B, as that makes the sketching flow nicely. Once I have at least one thumbnail sketch that has good potential, I then draw a bigger version of it with more details and in color. 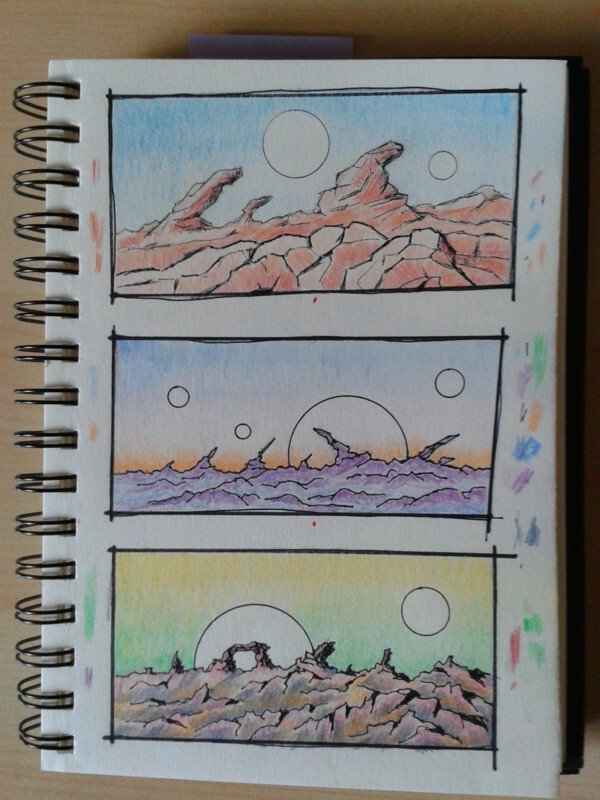 The ones below are about 11 x 5 cm (4.3" x 2") each, and are drawn using wax based colored pencils and black ink pens. I begin by drawing the main features using a black pencil, then I ink over the black pencil drawing, and then start coloring. A sketch like that takes me between 10 to 30 minutes, or longer if I can't make up my mind about the colors. I may draw a few of such larger sketches or until I'm satisfied with at least one of them. If I like one of them enough to create a fully detailed high resolution rendering, I proceed to the digital tools. So sketching is a brief process that leads to a rough representation of how the final image can look like. For me, sketching is also a gratifying drawing exercise because of its simplicity, visual appeal, and all the interesting ideas that sketches can lead to. 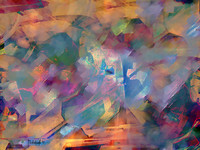 Interwoven is a new funky addition to the abstract gallery. Another news is that most gallery images are now available as canvas prints and you can even customize each canvas print to have multiple panels. Pretty cool! For the past couple of years I have been sketching much more. I use traditional drawing tools because they diversify the creative process and make it more fun. That way I don't have to sit in front of the computer to do the sketching and can enjoy the reliability and simplicity of traditional tools - all I need is something to draw with and paper. Such tools almost always work and are easy to get started with. So sketching is great for getting the ideas flowing. Traditional tools change very little, which encourages their use and makes it a safe investment of time and effort to learn how to use them. Thus traditional drawing tools quickly gained my trust, something which digital tools are lacking. I find the digital art tools less trustworthy because they change a lot. Any functionality can change with an update - ending up working in a different way or producing a somewhat different result. User interface changes and so does the location of buttons or their names. Sometimes useful functionality disappears. I'm not against change, but change happening too frequently gets tiresome and discouraging - especially after many years of using multiple art programs. Thus digital art tools lost some of the appeal they used to have for me. I continue to use them because of their many advantages, but their use is now done with some reservation. I have been creating digital pictures for over 22 years, so for me traditional sketching is an interesting way of creative expression that is exciting and stimulating. I use pencils, inks, crayons, colored pencils and any paper that is not too thin or too rough. 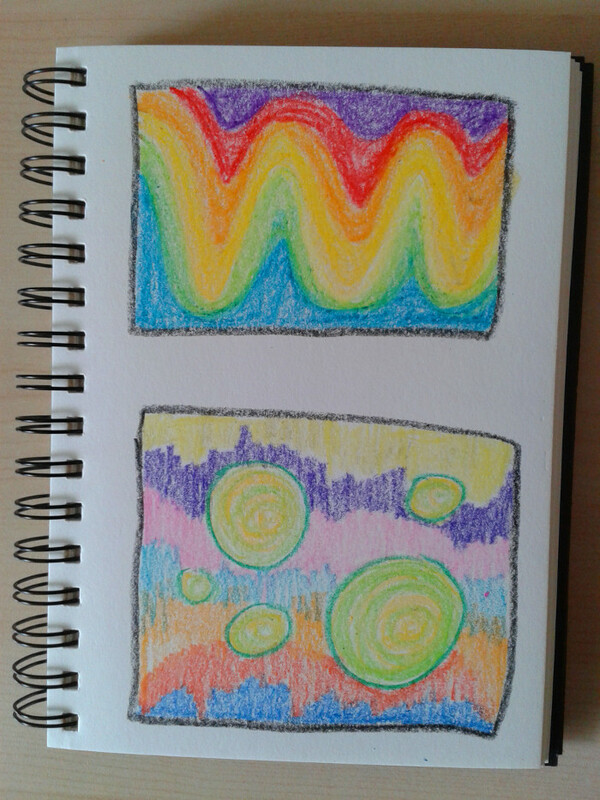 Here are two abstract crayon sketches I did recently. 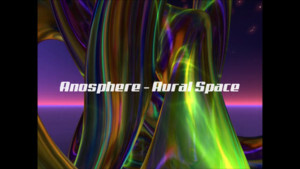 This new video features most of my best space artwork and the music is from the latest Anosphere spacesynth album Flight to planet 5. 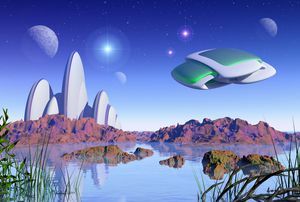 I created this new sci-fi image using Blender and Gimp. Its been now about two years since I started using Blender and 11 months for Gimp. Overall I'm very satisfied with both tools. For my needs I can do the artwork just as well as I did with 3DSMax and Photoshop. After years of using 3DSMax it took some time to get used to Blender, but Gimp is practically like Photoshop so there was minimal time spend on adjusting. Gimp is very stable, more stable than Photoshop and generally it feels just as fast with the exception of many filters, some of which can be quite slow. 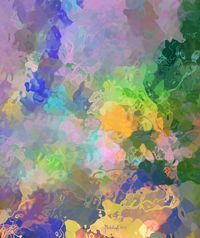 I have not done any typical 2D painting with it, just regular image editing and adding details at resolution of up to 6000 pixels wide. Although some of Gimp's functionality is a bit lacking, usually there are ways around it. I should add that I use a 64bit Linux workstation where both tools (especially Blender) run faster compared to my 64bit Windows 7 laptop which actually has faster hardware. This goes for general use of the tools, not 3D rendering. Finally, I have also added several new concepts to the air and spacecraft vehicles gallery. Hope you will enjoy these as well, and Merry Christmas and Happy New Year! 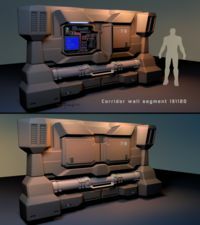 For easier browsing I have split the concept gallery into the following sections: air and spacecraft, land vehicles, buildings, exteriors, interiors, robots, and weapons. Besides that, I've been busy doing concepts of buildings and spaceships, and have added five new concepts to the gallery: Recon vessel, Patrol vessel, Intel building, Apartment building, Military HQ. Concepts like that are great fun to make and I plan on using them in one of my future sci-fi images, but I still need to make more buildings. I try to keep the geometry of each building relatively simple, so once I put them all together, the scene won't be too heavy to work with. These concept buildings are part of my new project to create enough buildings for a scene that will show part of a future city. 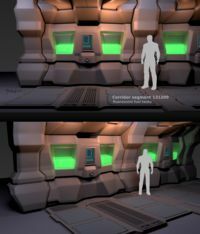 I want them to look like they could be built today or in the near future. I plan to have a good mix of skyscrapers and lower buildings of various type. I like solid looking buildings like those in this concept. The building on the left could be a government agency building and the other one a research institution. 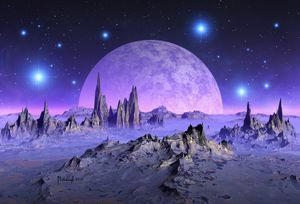 This is my first space landscape created using the Blender & GIMP combo. Overall all went well. The only thing that bothered me a bit was that in Blender (v2.69) I was unable to adjust the amount of horizon and zenith colors visible in the image in relation to each other. There is either no way to adjust this or I couldn't find where to do it. I have fixed the colors in GIMP, but things like that should be doable in Blender. Rendering time at 5760 x 3240 on a dual core 3GHz Intel E6850 CPU, 4min 3 seconds. As for GIMP, I'm impressed how much faster it got. In the past, my main objection against using it has been that working with high resolution images is too slow. This is no longer the case. So far it seems as fast as Photoshop. I wonder if GIMP works faster under Linux? This Sci-Fi corridor segment shows tanks of fluorescent fuel located at the back of a spaceship. This concept ends my recent series of interior designs as I now plan on doing a few exteriors. Another news is that I now use Linux on my graphic workstation. A few weeks ago I started thinking about buying a new workstation, mainly to speed up my 3D rendering, as the one I have now is well over 5 years old. I have a dual core 3GHz Intel E6850 CPU, 4GB of RAM, and nvidia GeForce 9600 GT gfx card with 512MB RAM. While doing research about which CPU and gfx card to get I came across information that CPU Blender rendering is much faster under Linux. I decided to test this. I created a simple scene with various objects and applied different materials that take long to render. Additionally I set various rendering settings to further increase rendering time. After rendering that scene under 32bit Windows XP using 32bit Blender 2.69, I installed 64bit Slackware 14.1 (my favorite Linux distro) and rendered that scene again using 64bit Blender 2.69. To my amazement the Linux version of Blender rendered that scene 46% faster compared to Blender under Windows XP. This is a huge reduction in rendering time, especially if one works on images that take long to render. [UPDATE: 9 Feb 2014] On the downside, the Blender GPU viewport performance is somewhat slower under Linux, even after I installed the latest nvidia drivers - which did not provide any improvements over the open source drivers. This spaceship fighter is my third concept project done recently. I started by drawing several small outlines of one wing seen from top. Then I picked the one I liked best and have drawn a bigger version with some details in it. I did the same with the cockpit, except I did the cockpit from the side. 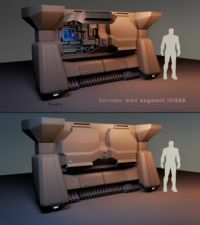 Then I did the modeling and texture mapping in Blender and added some more details in Photoshop. Doing concepts like these is a great way of learning a new 3D program, like Blender is for me, and at the same time getting some practice in doing concepts. 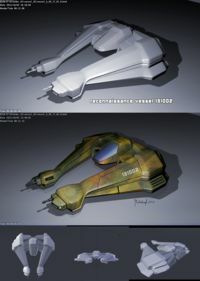 And I even may use this spaceship in one of my future sci-fi images. My next project is either going to be an interior or exterior environment. Perhaps a corridor or a building. 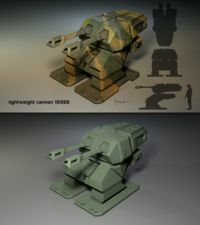 This remotely controlled lightweight cannon is my second concept project completed in Blender. I did a basic procedural texture with some green color variations and painted the yellow camo stripes and some more detail in Photoshop. 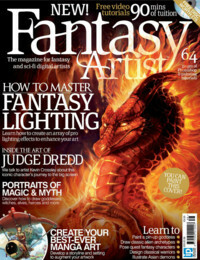 I often add more detail in Photoshop because some things are easier or quicker done in 2D. At other times I get more ideas while in 2D and don't want to go back and add things in 3D. 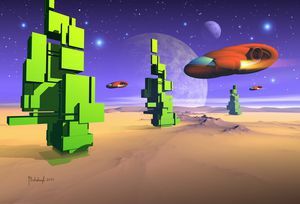 A spaceship approaching a home base on a far away planet... This image is a little bit of an experiment. I wanted to do something relatively simple without sacrificing the overall visual impression. I noticed that as I get older I tend to appreciate simpler images more often. 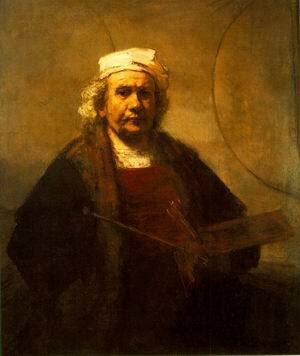 I wonder if this is due to the aging process, or if it's due to my growing experience as an artist and human being. Perhaps it's both. Simpler images are quicker and easier to process visually and they probably communicate the main idea more effectively due to their simplicity. They are not necessarily easier to make, but the creative process is somewhat different. Which makes me want to experiment some more with this in my future work. 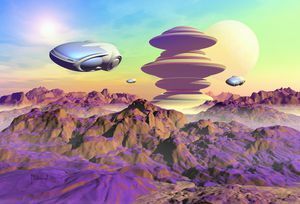 In 2010 I did the first image in this series, and I decided to do a second one as I really like the idea of spaceships flying above a terrain. I actually plan on doing more sci-fi work in the near future. I'm also experimenting with various techniques as I want to change my style a bit. In the past I did some complex and time consuming work, but now I want to simplify certain aspects of my work and at the same time make better images. 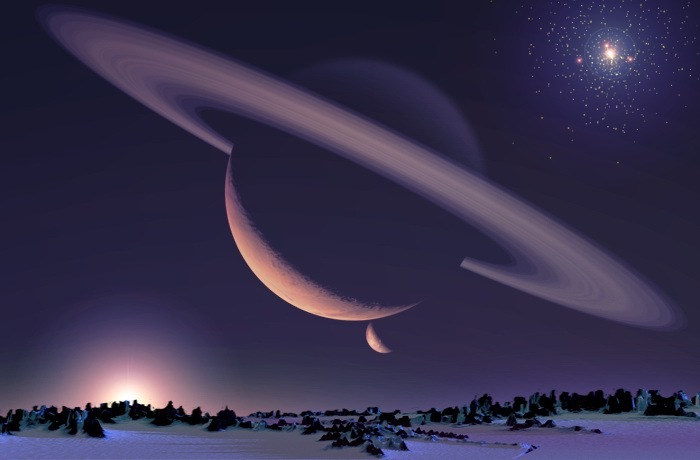 A new addition to the space gallery: One evening on a planet far away. The following text is just filler, there is no need to read it. Every time I post a news item it gets send to the subscribers of my newsletter aka. email updates. Unfortunately a newsletter email must not be too short or it may be considered spam and get automatically deleted. Therefore I have to write more text for this news post because spam evaluation mechanisms will not let me send a short email to the newsletter subscribers, so I'm writing some more text. Hopefully this is enough. But just in case let me write some more. 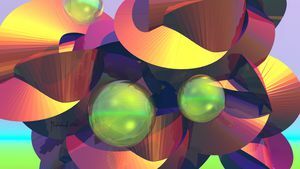 I have just added a new piece to the abstract gallery - Reflections. I completed it early last week but first today had the time to put it online. Actually I made some minor tweaks to it today as well. I always let the artwork age for some time, and then look at it with fresh eyes days later. That way it's easy to spot things that need improvement.